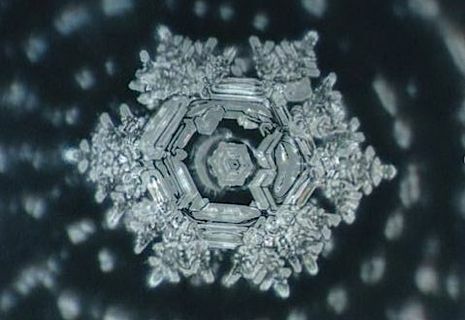 Masuro Emoto’s work with photographing frozen water crystals has gained considerable interest in past years. I find it very affirming that the water that has been exposed to flowers tends to reveal distinct floral mandala patterns mimicking the actual flower. His research about water’s ability to ‘remember’ what it has been exposed to — a word, a prayer, music, essential oils etc., is a powerful affirmation for the simple process of creating flower essences. Similar research at an aerospace institute in Stuttgart, Germany, demonstrates the visible imprint flowers leave upon water molecules and the remarkably distinctive patterns of different individuals’ energies. 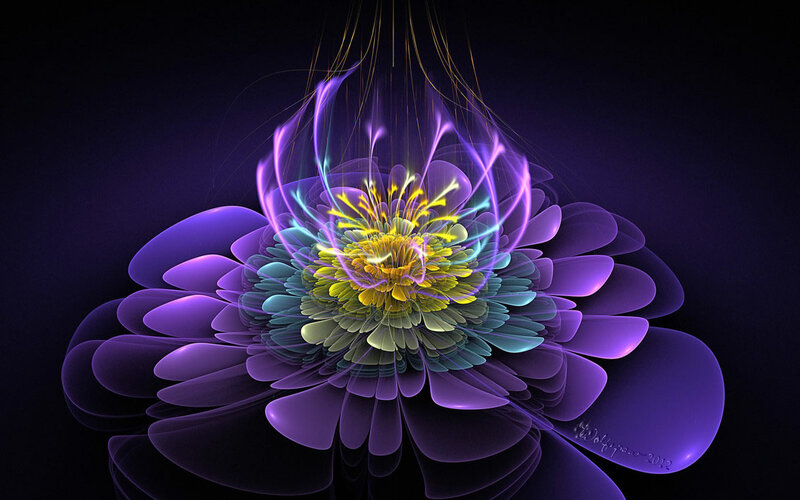 It’s wonderful to be able to see the energy of an essence! 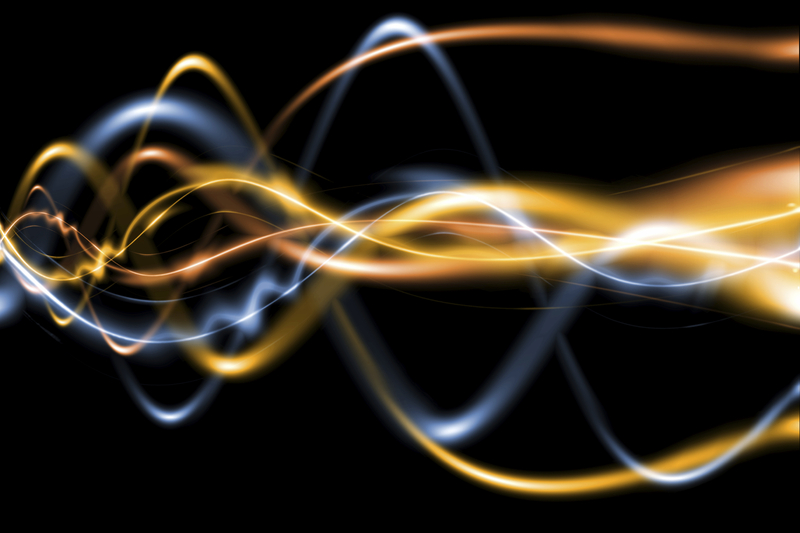 Cymatics is the study of sound frequencies upon matter. Hans Jenny was one of the prime researchers of this work in the 1960’s. Several youtube videos illustrate the astonishing ‘dancing’ patterns created when very fine particles of sand or lycopodium are exposed to different sounds, varying from the very low Tibetan chant-like sounds to extremely high-pitched ones hardly audible to the human ear. in 2007, I was invited to give a presentation at the Spirituality in Healthcare Network in Toronto. I prepared a powerpoint presentation called A Love Affair with Nature, which explores the important distinction between two aspects of ‘light’ — lumen dei, the light that comes from a disembodied expression of spirit, and lumen naturae, the radiant light contained within all matter. Though I wish I had created the presentation with music, the text by Sufi mystic, Llewellyn Vaughn Lee and Jungian therapist, Robert Romanyshyn, still conveys the heart of my working relationship with nature. A wonderful 10-minute video by Llewellyn Vaughn Lee explores the inherent wisdom of the feminine and our role in shaping Indra’s Web. He also tells a fascinating story about cats, witches, and the plague! I share this clip with many of the women who come for a private retreat as it is one of the most compelling invitations for us to stand in the fullness of our beauty and power as women. A second clip Working with the Forces Within Nature explores our relationship with angels and nature spirits, and how we have lost our spiritual connection with creation. If there is sufficient time, I would also like to conclude the evening’s presentation with the 2013 Meditation movie — a simple, gentle message from nature for these changing times.